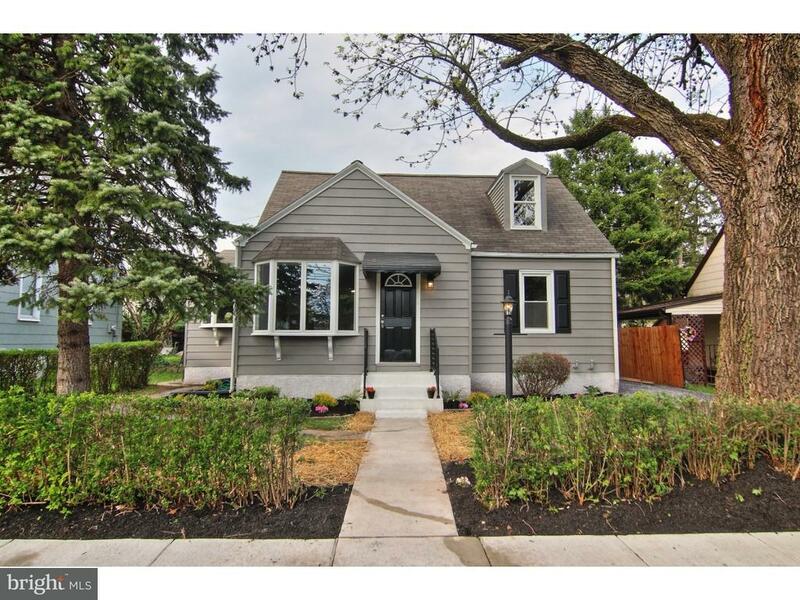 Cape Cod style homes are very desirable in Pottstown right now and this one located in the North End of town is sure to please! Located within walking distance to Brookside Country Club and North End Swim Club. Notice the charm and curb appeal as you approach the home. Enter into the large living room. You will immediately see the updated interior including new flooring, fresh paint, and updated lighting. The first floor offers a large living room, 2 nice sized bedrooms, a full bath as well as a "knock your socks off" kitchen. Many homes nearby do not offer a dining area for table and chairs. This one does! This eat-in-kitchen has been transformed to include ample cabinetry, brand new granite counter tops, stainless appliances and fresh tile back splash. There is access to the rear covered deck and back yard as well. On the second floor you will find a private master suite with large master bedroom, siting area at the top of the stairs and a spacious master bath featuring double vanity. A freshly painted basement with bilco access offers additional storage as well as laundry hook up. There is upgraded 200 amp electric, brand new high efficiency furnace, new hot water heater and radon remediation system. With very little work, you could add a finished family room or forth bedroom for even more living space. Nothing at all to do but move in and enjoy! (Owner is a PA licensed sales agent.) Green Remarks: New electric service, new furnace, new hot water heater.